Binali Yildirim attends a debate at the Turkish parliament in Ankara. RBTH asked Russian and Turkish experts if there any hope of normalizing relations between the two countries under the new head of the Turkish government. 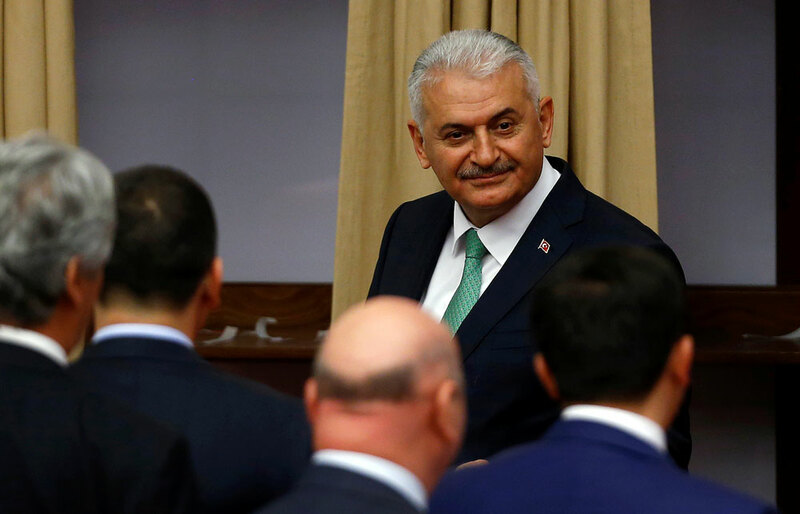 Turkey’s governing Justice and Development Party (AKP) elected Binali Yildirim as the new head of the party at its extraordinary congress on May 22 and, in accordance with Turkish law, appointed him as the new prime minister. A close ally of President Erdogan and until recently the minister of transport, maritime affairs and communications, Yildirim – unlike his predecessor Ahmet Davutoğlu – is known for his practicality and pragmatism. Many analysts predict that Turkish foreign policy will be more balanced under the new head of government than it was under Davutoğlu. We asked Turkish and Russian experts about what the current appointment promises for Russian-Turkish relations, which have been in crisis since November 2015, when Turkey downed a Russian Su-24 bomber which, according to Ankara, violated its airspace. The experts interviewed by RBTH agreed that Yildirim is unlikely to become the initiator of the normalization of relations with Moscow. Ivan Starodubtsev, a political scientist and expert on politics and economy of Turkey at the Institute of the Middle East in Moscow, believes that the appointment of Yildirim has no significance for Russian-Turkish relations. "The arrival of a technocrat as prime minister is a signal that the center of ideology and decision-making in foreign policy is decisively shifting towards the president," said Starodubtsev. "Also, the new appointment marks the acceleration of the country in the transition from a parliamentary republic to a presidential form of government." Orientalist and Turkologist Ilshat Sayetov, director of the Moscow-based Center for Modern Turkish Studies, agrees with him: "This appointment means that the government will now be led by a figure with 100-percent – rather than with 99-percent (Davutoğlu) – loyalty to Erdogan," he said. "Yildirim is a longtime ally of Erdogan, but the main thing is that he is fully integrated into all the corruption schemes. Unlike Davutoğlu, he would never – even hypothetically – dream of becoming a real prime minister." Nevertheless, there are a number of experts who have not ruled out the possibility that the Turkish side could take advantage of the "new prime minister" as a figure "untainted" in the current crisis with Russia, since he did not personally give orders to destroy the Russian fighter jet in November 2015. "If Ankara has a need for some kind of detente in relations with the Russian side, in this case, of course, the ‘new prime minister’ is a great opportunity to make contact with Moscow," said Hakan Aksay, a Turkish political analyst and columnist for the T24 online newspaper, adding that it all depends on how the situation will develop in Syria. Kerim Has, an expert of the Turkish analytical center USAK (International Strategic Research Organisation/Center for Eurasian Studies), believes that the fate of Russian-Turkish relations is in the hands of President Erdogan, while the new prime minister is just a suitable figure for Erdogan in the present circumstances. "The appointment of Yildirim does not promise any positive changes for Moscow's relations with Ankara," Has told RBTH. "I do not think the normalization of Russian-Turkish relations will happen under him. Most likely, they will enter into a phase of 'controlled tension' under the new premier," he said. According to Starodubtsev, the issue of normalization of relations between the two countries is, first of all, about whether Russia is currently waiting for any steps from Turkey aimed at normalizing relations. "Based on the rhetoric on Russian federal channels, it is difficult to catch this expectation," he said. "As for the new Turkish prime minister, he will apparently focus first and foremost on the country's political reform and economic problems, passing the entire foreign policy agenda to Erdogan."